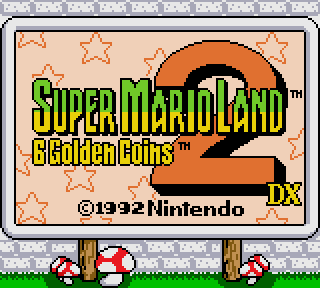 Super Mario Land 2 DX is a color hack for Super Mario Land 2 in the same vein as Link’s Awakening DX. 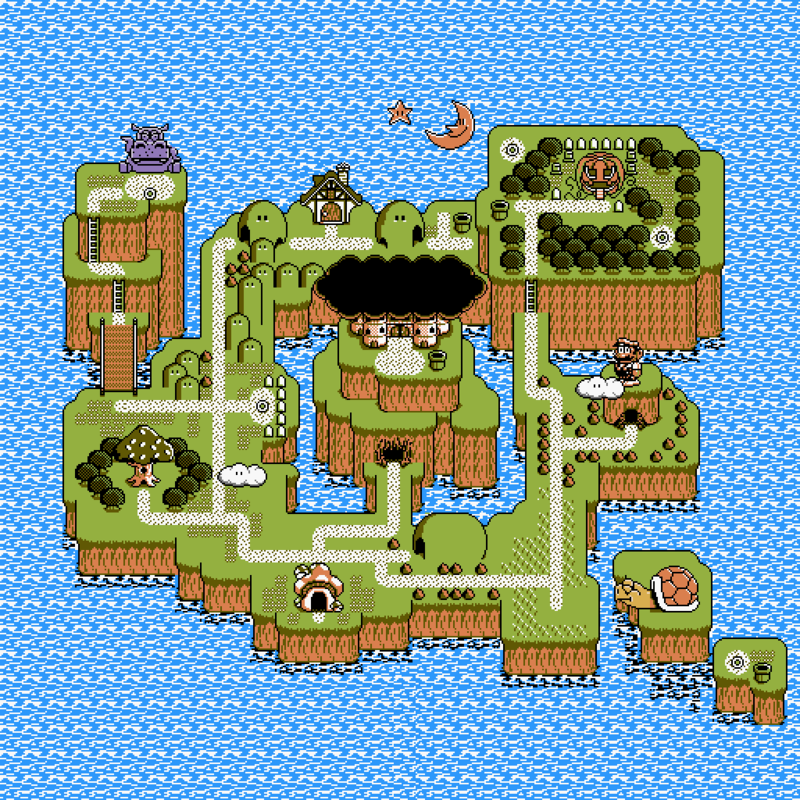 It is completely done in ASM and takes advantage of some of the unique features of the GBC hardware, so it doesn’t work with classic Game Boy. The aim of this hack is to make it look as official as possible and to document it the best I can. 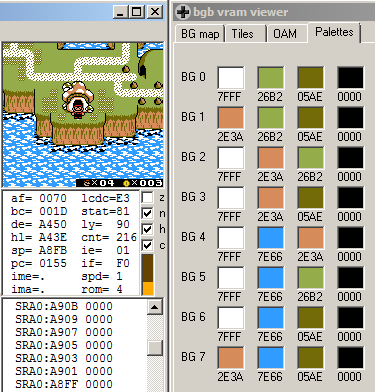 It started as a quick and dirty side project to document a colorization project (as my code for For the Frog the Bell Tolls DX is a mess), but I’ve ended up investing a lot of time polishing it and now I want it to be a full-fledged colorization hack. By any means, that's my baby and I want it to be beautiful. But I'll release this hack first. I saw this earlier on /vr/ and I think it looks extremely good. SML2 is my favourite Mario game and I'm happy to see it getting some love. The 'DX' in the title screen seems a bit too humble, though. Otherwise insanely good job. Like I said in one of the other threads, I hope you give the fire versions a new palette. The feather in their hat don't bother me but I wanna see them get proper palettes when they get a fire powerup. Maybe they should change to orange when they get the bunny ears. This hack looks really good tho. I wanna try it asap. On one hand, giving them a new palette would be inconsistent with the official artwork. On the other, the feather in the hat was clearly only done because of the four-color limitation, like the shoulders on the Varia Suit in Metroid 2. I'll probably release two patches as I mentioned before, one with the original graphics (a heart instead of the 1-UP Mushroom, "feather Mario" instead of the proper Fire Mario, no Luigi, etc.) and another one with the modified ones. I'm constantly tweaking it, but there are so many limitations that it's really difficult to make it look better. What do you think? Is it possible to change the palette as you're scrolling the map around? I love the work that's been shown so far, and I would love to see the finished product. This is a really cool hack that you're making, I'm looking forward to checking it out when it's release. One thing you should edit is change Wario's eyes to make them look more like the ones from his official artwork for this game. This looks great, I love it when old games get improvements like these. Will Luigi work like SMA2 where you can switch to him on the map or will it be Lost Levels style where you choose your character at file select? I should have pointed out that the hippo, clouds and most of the turtle head are sprites and can be freely colored. Maybe I'll change the cloud color. Thanks! I'm not at Wario yet, but I'll look into that when the time comes. This looks amazing! One of my favorite games of all time, thank you for your hard work on this. 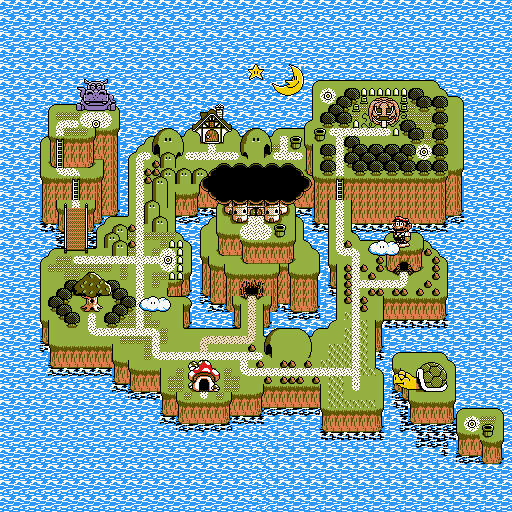 I'm sure it's been asked before, but have you looked into coloring the first SML? Any other GB classic you are looking into coloring in the future? Looking great. This is one game I've never really put much time into. ...but for some reason, I've beaten the crappy first game twice! I agree with the 2 patch idea. I'm as purist as they come. It's actually quite interesting. 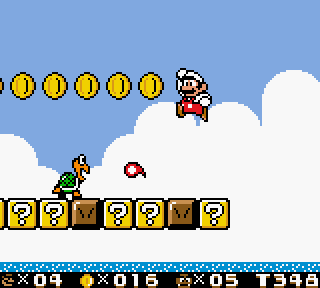 I started playing Mario Land 2 this week since I haven't played it in over 15 years. The black and white is exhausting. This project is music to my ears or...a sight for soar eyes. There we go. Toruzz, you keep producing very high quality work. I can't wait for both projects to be finished. You have a great eye for color! Hey, this looks amazing! Maybe this will motivate me to complete the game more - I have the original cartridge as a matter of fact and was mere pixels away from completing it a few years ago! Can't wait to play it in colour! This is exciting, alwsys great to see stuff like this! What you gonna do for Space Zone? That's kinda devoid of colors to begin with. Can we see some screens of what you got in mind? My only suggestion for this (if the palette is really limiting) would be to use the same tone of colour you have for the turtle head to be used for the Star/Moon. Having them in an odd orange tone seems weird haha. Or if the turtle head is a separate sprite/palette, then perhaps changing the brown to a more light tone to resemble yellow for the star and moon would do it. That's my only suggestion, the Mushroom house doesn't look bad in orange at all, it's just the Star and Moon which I feel seem odd with the orange hue. ...a sight for soar eyes.